Here at Acton we utilise up to date technology and training in order to provide CCTV Surveys across the North West areas. 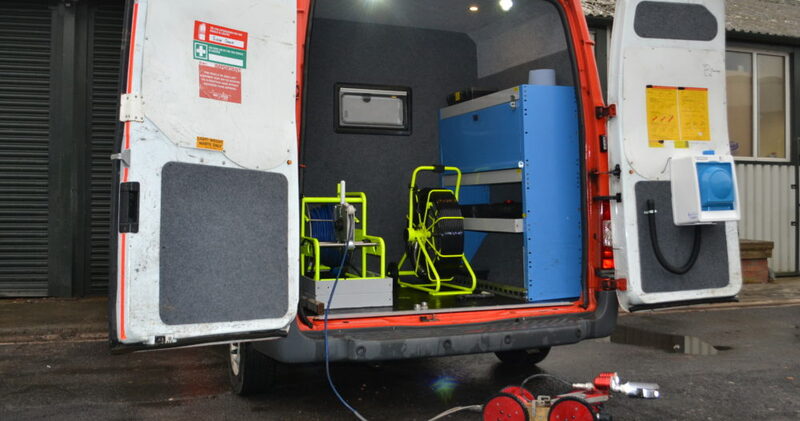 We offer both pushrod and crawler camera inspections ensuring we have the correct system for the job, our systems are capable of surveying pipes from 50mm up to 1200mm, with long cables lengths. All reports are produced using the latest Wincan VX software adhering to current standards of coding, whether this be for a domestic or commercial property. All surveys are carried out by trained CCTV Operatives and reviewed by our CCTV Team within the office to ensure a quality report is always produced. We are able to supply both electronic copies via email and hardcopies within the post , complete with a USB containing all footage. We provide a full overview report, defects and recommendations sheets with all surveys to assist in ensuring your drainage system is in a good structural condition to operate efficiently. 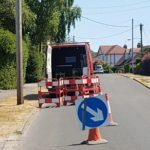 A CCTV survey is where a small camera system is placed within a drainage line whether this be foul, surface, trade effluent or other, and usually enters the line via Manholes, Chambers, Gully or made access points. The camera is guided up and down the line either by manual control or driven electronically and records the footage as this travels through the line. This footage is then used to create reports for numerous of reasons i.e. defect or blockage spotting at time of site, Home Buyers CCTV Surveys, Routine inspections of drainage system. Reasons for a CCTV Survey? Our clients require CCTV Surveys for lots of different reasons, at the time off work on site I.e. 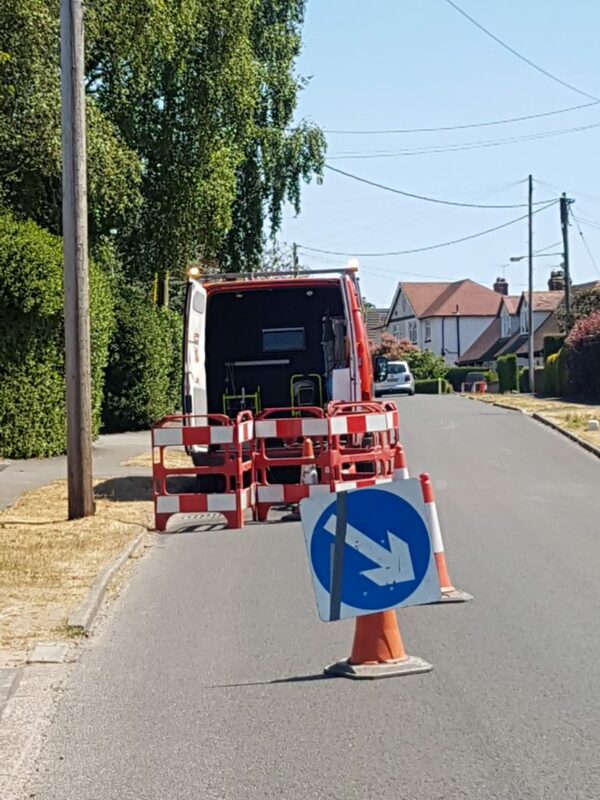 callout for an emergency blockage, a CCTV survey will give an instant answer, operatives will use the camera system to investigate any blockages or defects causing the issues, which allows us to pin point the exact issue and present cost effective solutions to rectify. Many clients are governed by environmental control and require annual check up’s on the drainage system to ensure there is no damaged pipes allowing effluent to leak into the soil, although we do offer maintenance packages to ensure the drainage systems are regularly cleaned to avoid build up’s and limit the amount of repairs required sometimes it is a requirement to visually inspect the line and produce report for the client to keep on file for any future audits and inspections. 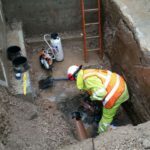 For our construction clients and any property developers, they may be looking for a routine inspection of the condition of existing drainage system prior to building works and to confirm current assets, many will also have completion surveys of either new drainage systems or of new connections to the existing systems. 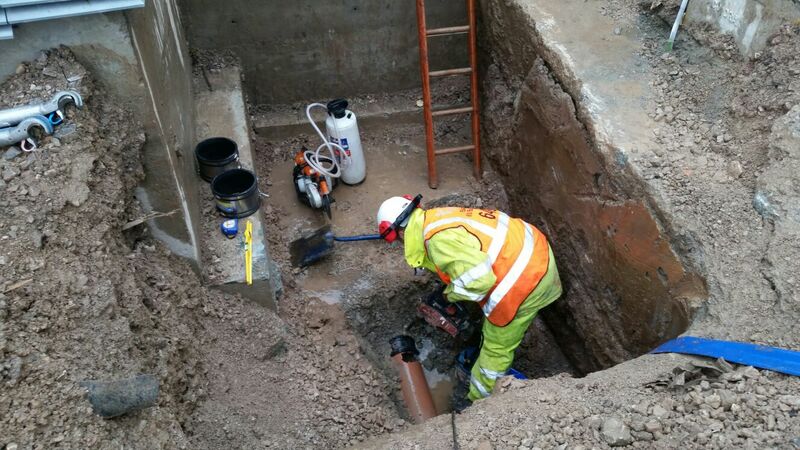 For some sites, a CCTV survey of both new and existing drainage systems Is a requirement of United Utilities prior to works being signed of as complete. Also a CCTV Survey is a great way to locate the drains on a property and aids in tracing of the system. One of our popular services is our Homebuyers Survey, this is a CCTV Survey that is carried out either prior to buying a new property or following recommendations from the building surveyor, this will highlight to the potential buyer where the drainage system runs, what condition the system is in and if there will be any costly repairs in order to bring it up to a good structural condition. The report will act in many circumstances as a way of providing proof of issues and can also aid in any compensation or cost situations. Price of a CCTV Survey? Due to the many different reasons a CCTV Survey would be used, the price for our CCTV Surveys can differ substantially and prices are based on purpose of inspection, size of site, size of drainage system, location, pipe size etc; as these factors will affect how long our teams are on site and what camera system set up is best to use. For example; a terraced house with two standard drains on a smaller pipe size would differ to a large construction site with multiple runs of different pipe sizes, requiring a full day on site. 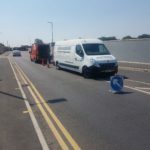 We believe regular maintenance and annual inspections are a small cost to pay when given the possible costs and consequences of an emergency situation due to poor drains. After I have had a CCTV Survey carried out? 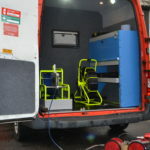 Following the teams visit to site, a full report will be produced using the computerised industry standard software Wincan VX. This will collate all recordings and notes made from the operative in order to produce a detailed report with pictures highlighting any issues or defects found on site. The software operates using an industry standard grading system and marks defects with a grade from 1 to 5 based on level of severity and importance of repair required. If there is no defects present on the line, this will be marked by the software as the drainage system is working at optimum structural condition. Both an electronic copy and hard copy of the report will be produced, along with a USB containing all footage for your reference. The electronic copy allows an instant viewing of your report, and can be easily forwarded via email should there be any other parties that require a copy of the report. Any layouts or maps of the drainage system will also be highlighted and supplied with the report to act as a reference. If the report notes any defects or issues, a full recommendation sheet will be provided along with a quotation in order to repair. 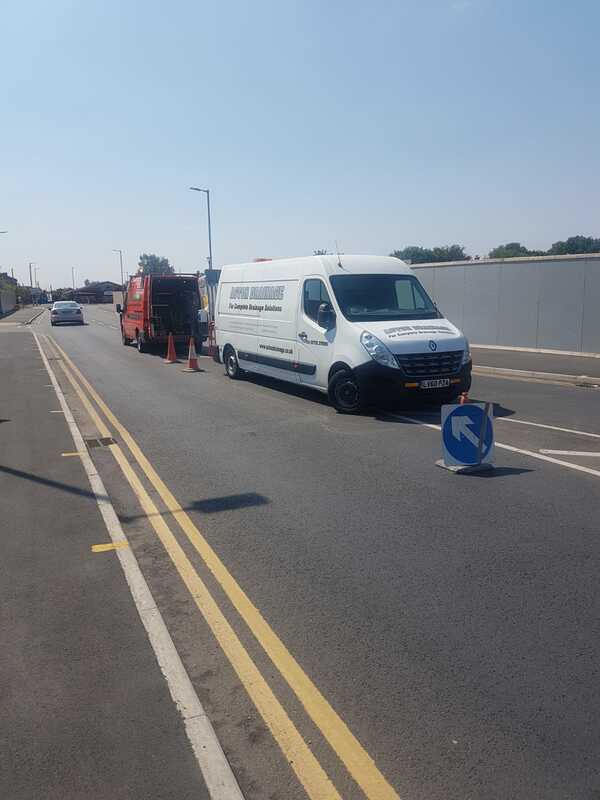 If any issues are flagged on the drainage system whilst carrying out the survey, this is instantly brought to the clients attention to allow them to uplift further works swiftly such as Drainage Cleaning and repairs in order to not cause any delay. All our surveys held on archive for a period of time and additional copies can be provided on request. Think you require CCTV Survey or wish to discuss any of the above further, give our friendly team a call today on 01772 679166. This entry was posted in CCTV Survey. Bookmark the permalink.